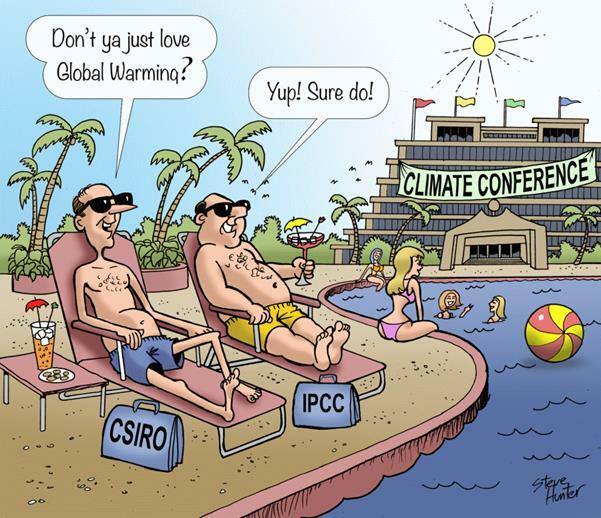 For at least 21 years now, UN/IPCC has been ring-master to a troupe of thousands. They perform at massive annual conferences held in exotic locations, serviced by top hotels and airlines, and funded largely, directly or indirectly, by reluctant tax payers. An estimated 45,000 attendees, including 114 from the Australian government, achieved nothing useful at Copenhagen and just more green tape in Paris.